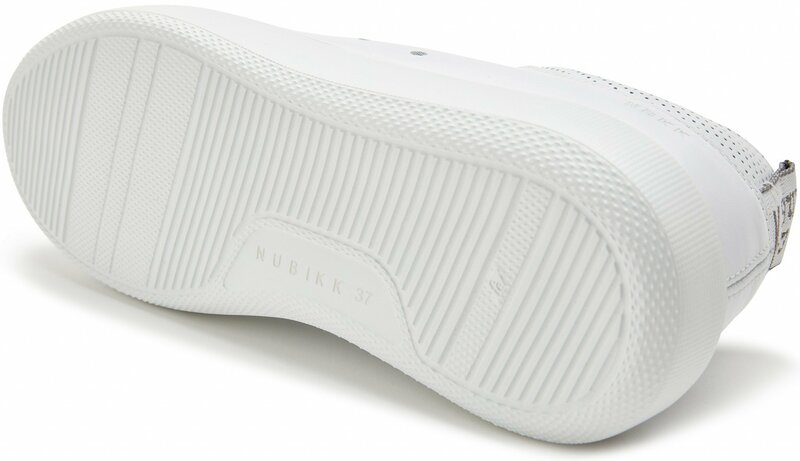 Nubikk Rox Eiffel is a low, laced trainer made of high-grade white leather and finished with perforated white leather. With the GPS tape and lightweight sole, a unique trainer that is a must-have for your wardrobe. The Rox Eiffel is a new addition to the Nubikk family. The Rox trainers have a 'blown up' sole, matching the current fashion trend. 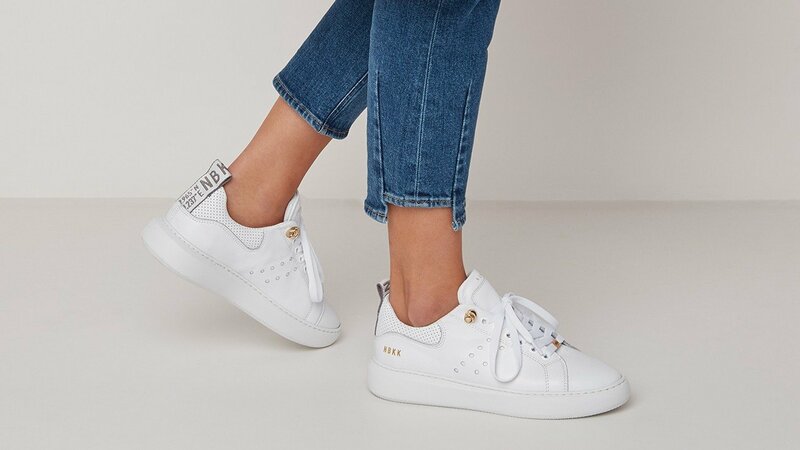 The white trainers are made of high-quality leather with a matt finish and have a lightweight EVA sole and removable footbed for ultimate comfort. The back of the white trainers contains the recognizable Nubikk 'GPS tape' with the geographical coordinates of Nubikk's head office, where the trainers are designed. The Rox trainers are available in various color/material combinations including white and black leather, black nubuck and black velvet. Exclusively available through nubikk.com.